Last week I attended Autodesk Accelerate event in Boston. If you missed my notes, you can catchup here. One of my favorite sessions, was a panel with users. The fascinating answer provided by Jennifer Walker of Amsafe was about simplicity of changes and administration of Fusion Lifecycle. She asked about simplification of the data model and UI customization. According to her, adding a property is still a problem and not a simple task to perform for users. It was shocking. PLM companies are working on data models, user interface, flexibility and simplification for the last 20 years. Why customers are still complaining? I found latest videos online about Autodesk Fusion Lifecycle implementations and administration. 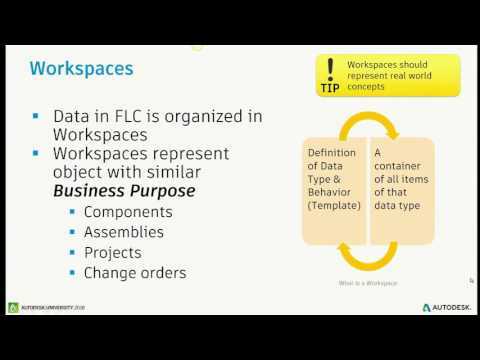 Check the following AU2016 video – Fusion Lifecycle Admin 101. If you’re user experience and PLM addict, you can spend some time of your weekend watching it. Fusion Lifecycle administration is clearly better comparing to some administration user experience I still remember in PLM systems 15-20 years ago. But I can also understand the comment from customers – it is not simple. I wonder if other PLM vendors are doing any better. So, I did a bit more of Google and found 2 examples of PLM administration and customization I wanted to share with you. The first one came from Aras Innovator. Watch this short video how to customize Item Type in Aras and draw your conclusion. The idea of Aras customization is similar to Fusion Lifecycle, in my view. It requires understanding of basic terms – class, attributes, etc. And it is configuration – you don’t need to deal with custom code. Even with a graphical tool, I think the difficulty is to understand existing model in order to extend it in a correct way, not re-invent the wheel or break what has been done. A second important concept is the separation of model and view (what is explained in Teamcenter).